Product and service sensations like the iPod, Starbucks, or FedEx were seemingly successful overnight. But, it wasn't luck, creativity, or clever marketing that led to their breakthroughs. Anyone can create hits that resonate if they stop guessing what people need and start spending their time building real and deep connections to what their buyers value most. 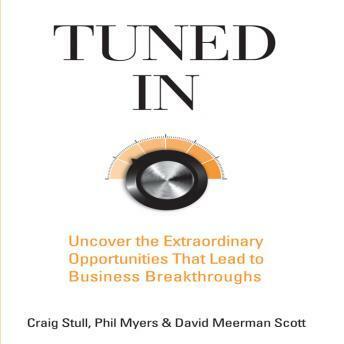 A proven strategy for dominating markets developed over 15 years, Tuned In reveals the 'secrets' that separate market leaders from followers and failures. It shows you how to stop wasting time and money trying to be innovative and start creating 'resonators' - great products or services that people buy without thinking because they solve the problems they have and make their lives better. Using a simple six-step process, Tuned In teaches you how to discover real and meaningful insights into any market. You'll learn how to identify unresolved problems, understand what buyers really want, create breakthrough experiences, and establish strong, sustainable connections to your market. Through dozens of real-life examples across a wide variety of industries, you'll learn how leaders create products and services that resonate - and the traps many others fall into when they don't. Anyone can use Tuned In to replicate the model for success. It works for well-known companies like Ford, Apple, and GE and those not-so-famous like GoPro and Zipcar. It works for realtors, doctors, ministers and even rock stars. Tuned In teaches you how to transform your everyday activities into those which create the kind of culture that builds market leaders. If you want to win in today's marketplace, stop pushing products your buyers don't want with expensive, meaningless advertising. Instead, listen to Tuned In and discover how to connect to what people really want, and ? most importantly ? how you can become an organization they trust.